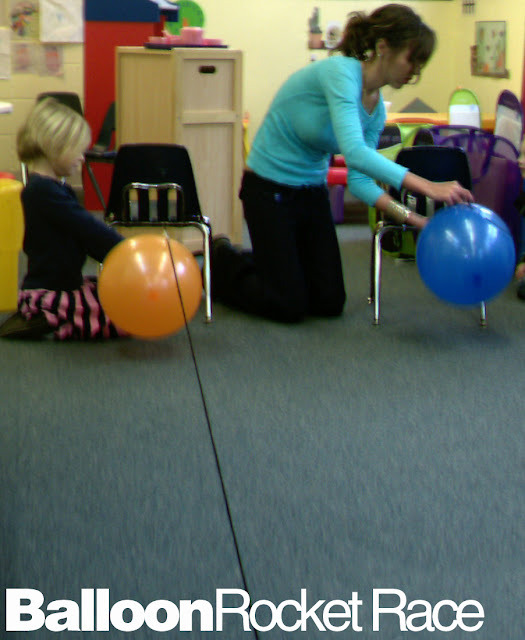 Kids love balloon rocket races! Left is one I conducted in my classroom. 1. Tie one end of the string to a chair. 2. Put the other end of the string through the straw. 3. Stretch the string tight and tie it to another chair. 4. Blow up the balloon. Hold the end of the balloon and tape the straw on top of the balloon. You're ready for launch! 5. Let go and watch the rocket fly! Visit Science Bob for the explanation! Add a little math to this science project by measuring different lengths of string. Does longer string produce better, faster results than shorter string?